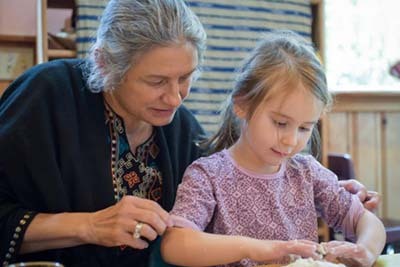 An ethic of care pervades the classroom and children’s capacity to care for others, as well as for their immediate environment and their work is nurtured through modeling and gentle guidance. 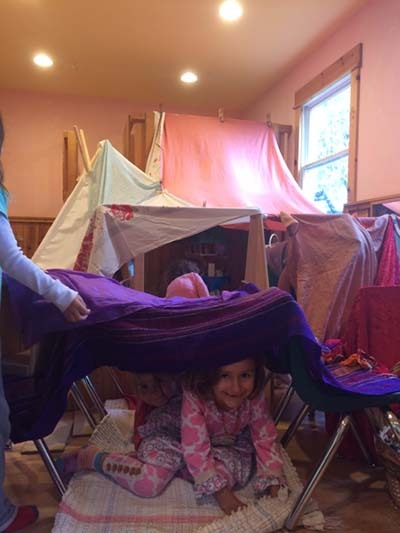 Students spend a large amount of time engaged in free outside play as well as inside explorations in a carefully crafted and beautiful environment. The learning environment of the Salmonberry Kindergarten has a strong rhythmic quality. This consistent daily and weekly rhythm helps children to feel secure at school and provides the safety and predictability that they need at these levels. There is a variety of indoor and outdoor, whole group and individual, teacher-led and student-led activities, which comprise this in-and-out quality. 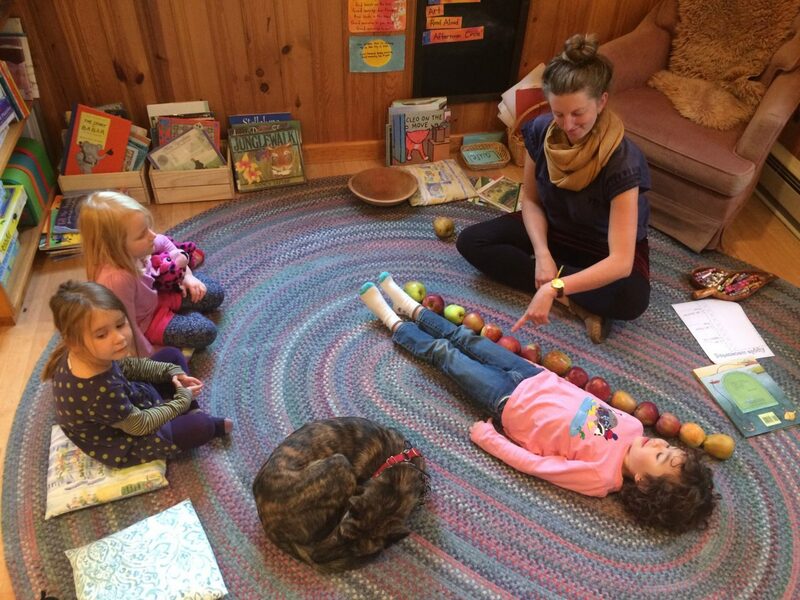 Children gather together each day for a circle time that helps to build a strong sense of community. Teachers lead the group with stories, puppet plays, books, songs or movement. Teachers are strong classroom leaders at Salmonberry. Yet they employ their clear authority with great compassion, care and love. They engage directly and authentically with children. Children are treated with enormous respect. Both the needs of the individual and those of the group are held in highest esteem. The Kindergarten classroom is a place of wonder, reverence, and safety. It is also a lively, fun and dynamic learning environment, which challenges and engages all learners. The Kindergarten classroom environment is one that immerses the children in the rich world of language. Stories, both oral and in print, are an important part of the day. The students keep journals to express their ideas. These notebooks include original artwork, symbols, dictated sentences as well as student writing. Students are often encouraged to act out their personal narratives in the form of dramatic plays. The print-rich and language-rich environment provides an excellent foundation for the acquisition of literacy skills. Phonics and phonemic awareness are also taught in a developmentally appropriate way and is blended with a more whole language approach to teaching literacy. Mathematical thinking is one important way that children develop a sense of themselves and the world in which they live. In the Salmonberry Kindergarten classroom, students play with wooden blocks as a way to explore proportion and measurement. They use geometric blocks at the light table as they gain a sense of symmetry, patterns and spatial relationships. They explore patterns and numeration through daily calendar work at circle time. Mathematical concepts are integrated throughout the day through activities such as sorting, counting, music and art. Numeration and number sense are also taught directly and are grounded by the use of manipulatives. 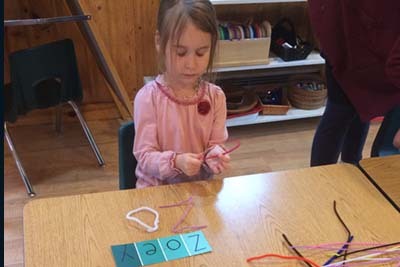 Arts and craftwork are another core element in the Salmonberry Kindergarten. Arts are used to help facilitate the development of children’s expressive capacity. Students explore movement and dance, dramatic arts and puppetry, and a wide range of visual arts. Arts curriculum emphasizes natural materials, and might include sculpting with clay, creating collage or mobiles with found beach objects, painting with watercolors or baking bread. 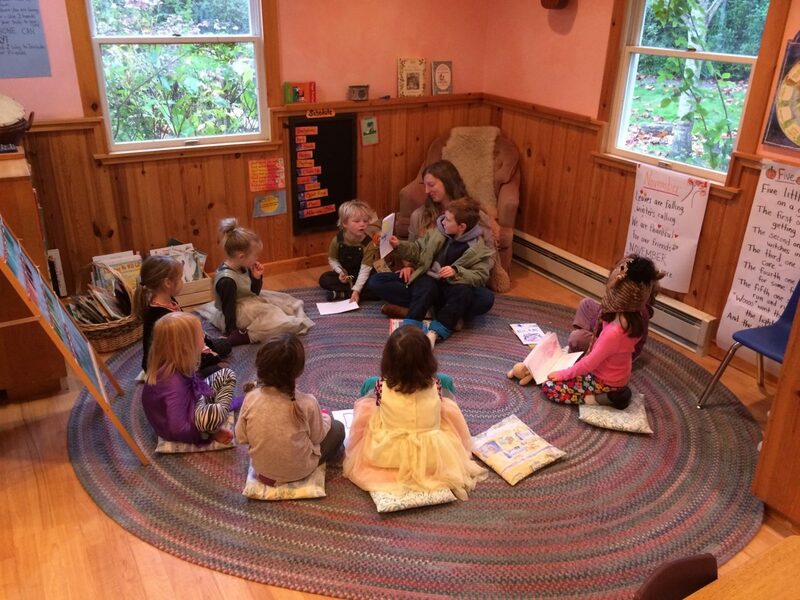 Salmonberry’s Kindergarten classroom encourages the development of children’s natural capacity for inquiry and exploration. As students ask questions of the world around them, teachers guide children to explore these questions and test out their theories, often documenting the results of these investigations. This inquiry-based approach provides a foundation for the child’s connection to the scientific process. 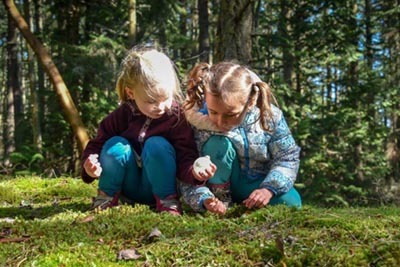 At this developmental level, it is important to balance this analytic approach to science with direct experience with nature, which helps to develop the child’s natural sense of wonder. Connecting children with nature is an important part of the Kindergarten program. Children go on nature walks noticing the seasonal changes around them. They are encouraged to explore the play yard and orchard and help to tend the school garden. Emergent curriculum is a strong element in the program. Children’s individual and collective interests, curiosities and passions are recognized and respected. Materials are present for children who are interested and ready to explore beginning literacy and mathematical thinking, and scientific learning may take place through designated centers in the classroom. When appropriate, teachers design projects and activities based on these interests as well as on the real world around us. This approach ensures that the curriculum is lively, meaningful and relevant to the children, and that it meets them where they are.